Cape Town Abseiling - An insane experience of adrenaline and achievement: a 112 meter controlled descent off Cape Town's magnificent Table Mountain. Hike or take the cable car to meet your hosts at the top for this mind-blowing experience. No experience is necessary to enjoy this incredible experience at one of the world's most magnificent natural landmarks. 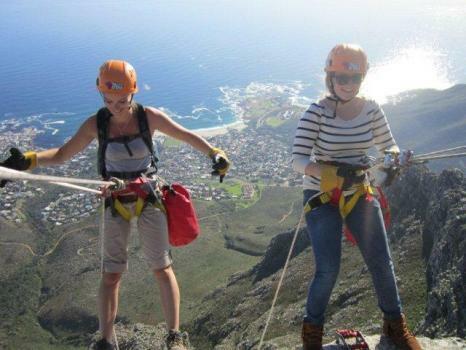 Step off the top at over 1000 meters above sea level into pure oblivion and indulge in the world's highest commercial abseil, surrounded with the privilege of awesome views of the city of Cape Town, Chapman's Peak and the deep blue Atlantic of the Camp's Bay and Clifton coastline at your feet. After this mind-blowing experience of adrenaline & achievement, an expert mountain bike instructor will meet you at the Base Cable Station and lead you to the off-road trails for further exploration of Table Mountain by mountain bike. Anybody can handle this ride; the only prerequisite is that you have ridden a bike before. Just leave the rest to our instructor who is always ready to demonstrate & give valuable advice on bike handling skills. 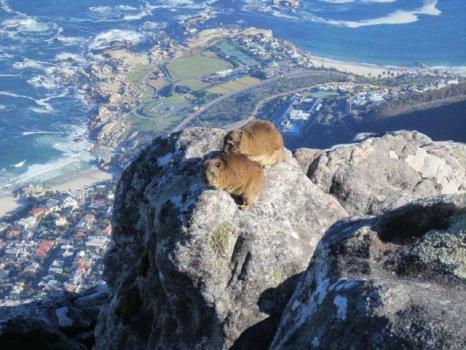 We aim to make this a rewarding experience filled with spectacular views of natural landmarks in & around the "Mother City". 90% of the ride is downhill with 10% uphill, so either take a relaxing ride absorbing everything Table Mountain has to offer or challenge yourself against the terrain. Halfway along the ride there is also the opportunity to cool off and take a swim in a crystal clear rock pool on the slopes of Table Mountain (summer months only). The final descent is down Devils Peak all the back into the city. This last downhill section has captured many hearts into the mountain biking world. 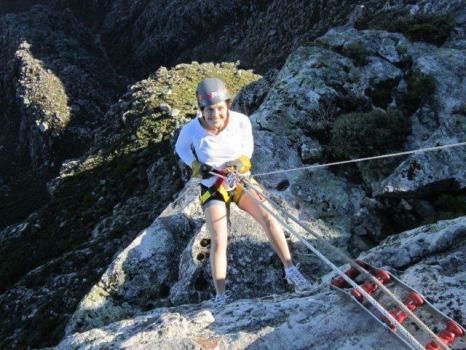 Cape Town Abseiling - more information and bookings.